 The Buffalo State PDS Consortium actively promotes action research throughout the Consortium. The key to our success has been demystifying the action research process. Using Emily Calhoun's definition of action research as "a fancy way of saying let's study what's happening at our school and decide how to make it a better place," the Consortium has designed a standardized process that takes the fear out of conducting research. The collaborative model pools the strengths of mentoring teachers, principals, college faculty, and teacher candidates to help meet the needs of the PreK through 12th grade learners. All partner schools are encouraged to apply for mini-grants from the PDS Consortium to conduct action research on a topic of their choice based on school or classroom needs. Pairs of mentor teachers and student teachers may also apply for mini-grants to implement co-teaching models or activities. Mini-grant funds are awarded for supplies, substitute teacher pay, instructional materials, literature, software, technology, and for support of the research process in the school. The action research projects are shared and celebrated at the annual PDS retreat. All PDS partner schools are encouraged to apply for mini-grants of up to $1200 from the Buffalo State PDS Consortium to conduct action research on a topic of their choice based on school or classroom need. All Student Teaching-Mentor Teacher pairs in PDS partner schools are encouraged to apply for mini-grants of up to $300 from the Buffalo State PDS Consortium to implement a co-teaching activity or model. For the purposes of this mini-grant, co-teaching is defined as two teachers (mentor teacher and student teacher) working together with groups of students, sharing the planning, organization, delivery and assessment of instruction, as well as the physical space (Heck, Bacharach & Dahlberg, 2010).